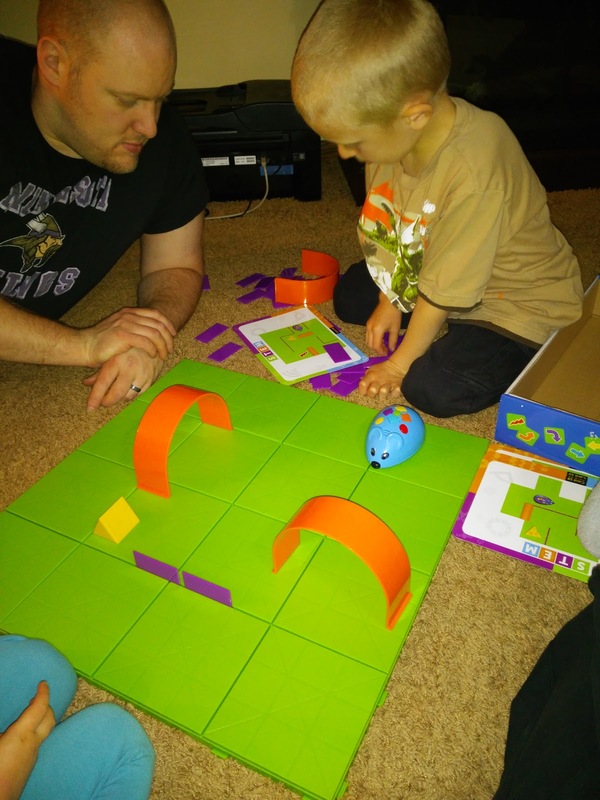 Coding is fast-growing focus in elementary education and Learning Resources, known for their award-winning hands-on learning toys and games, has created one of the first hands-on introductory coding sets for the age 5+ crowd. Studies show when we use our hands to learn – by writing, by hands-on touch experimentation, etc. – we retain the information much better and I have definitely learned that my children love learning this way! 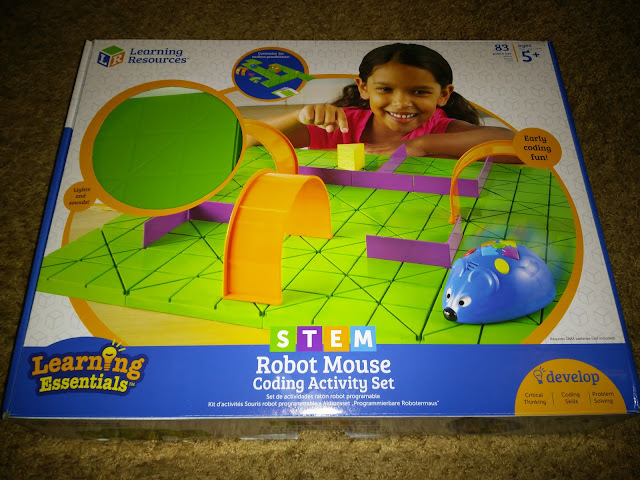 So when I saw the NEW Learning Essentials™ STEM Robot Mouse Coding Activity Set, I knew that it would be so educational for them and loads of fun too! This set introduces the concept of step programming and challenges children to create, program and problem solve in a simple, exciting way. 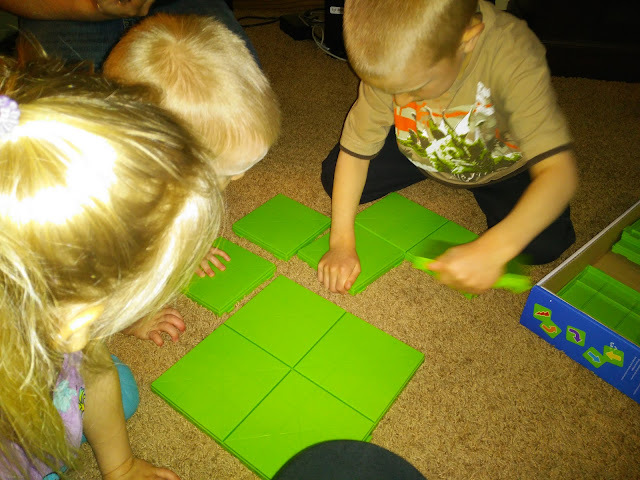 My children have spent hours playing with this activity set and it is fun and educational every time! You first start by picking the shape of the maze you want to use and then building the maze. 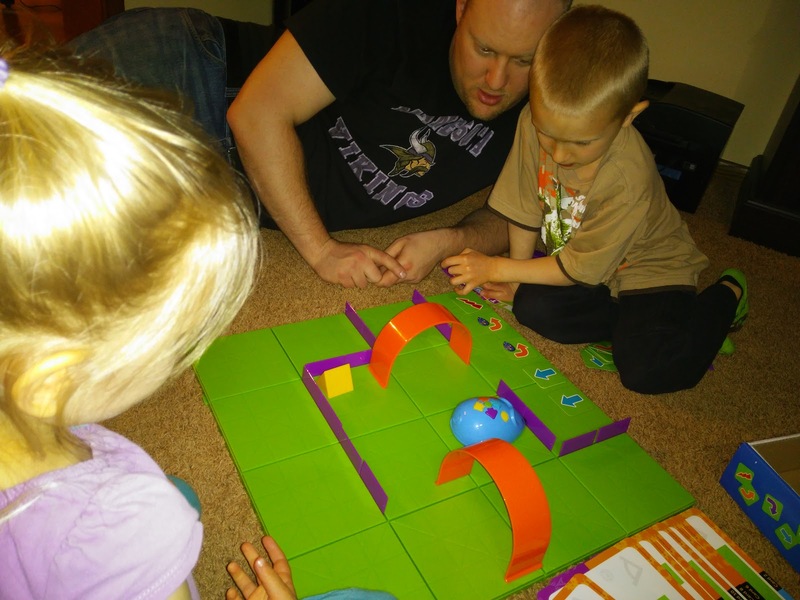 Then children use the coding cards to create a step-by-step path for Colby, the Programmable Robot Mouse. Then you program the sequence of steps, push go and then watch Colby race to find the cheese! This deluxe set includes 30 double-sided coding cards, 10 double-sided activity cards, cheese wedge, and Activity Guide to provide the perfect hands-on introduction to coding concepts. There are endless options for creating the path using the 16 maze grids to create a 20" x 20" maze board, 22 maze walls, and 3 tunnels for endless possibilities. Colby lights-up, makes sounds when the cheese is found (and when Jack (sold separately) and Colby meet nose to nose), and features 2 speeds along with colorful buttons to match coding cards for easy programming and sequencing. My 6 year old asks to play this every day and even my 4 year old has gotten an early start to coding watching his brother play! It took my son a couple tries to figure out how to use the card and code Colby but it was great learning for him using trial and error until he got it right! I loved watching his face every time he was successful in getting Colby through the maze! If you have a child who has an early interest in coding, computers or programming, then this STEM Robot Mouse Coding Activity Set is perfect for them! It will definitely provide hours and hours of educational fun for the whole family! Learning Resources is generously offering (1) STEM Robot Mouse Coding Activity Set to a lucky winner!